Product description: Rabbit polyclonal antibody raised against a recombinant CD40. Immunogen: Recombinant protein corresponding to short cytoplasmic region of the human CD40. Application image note: Formalin-fixed paraffin-embedded tissue section of human tonsil stained for CD40 expression. 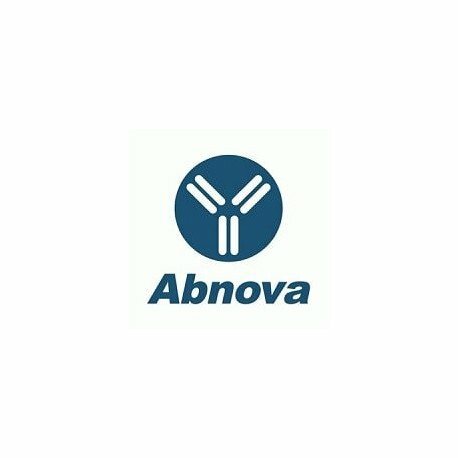 Using CD40 polyclonal antibody (Cat # PAB0251) at 1 : 2000. 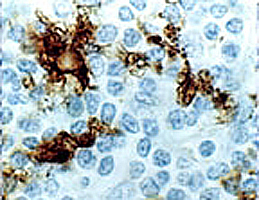 Staining is seen in the dendritic cells. Hematoxylin-eosin counterstain.